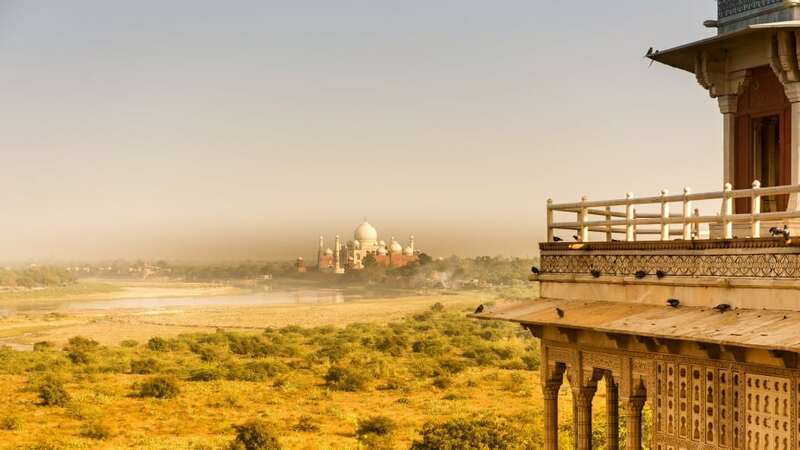 While most visit Agra just to catch a glimpse of the Taj Mahal in all its splendor, and rightly so, the city has many other fascinating sights that make it well worth more than a whistle-stop tour. So if you’re visiting Agra to see the most romantic building on earth, take your time and enjoy these other splendid places as well. 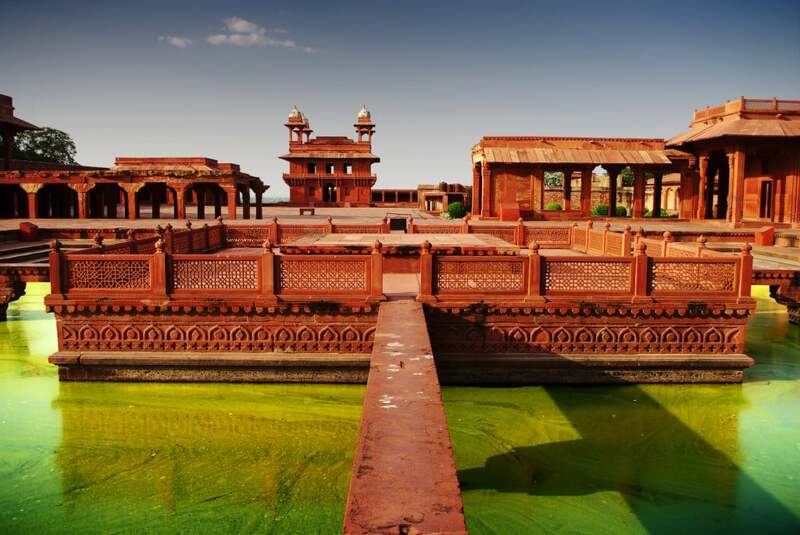 Once the capital of the Mughal empire, the ancient city of Fatehpur Sikri is a tribute to Emperor Akbar’s architectural vision. Akbar had three wives and built a palace for each of his queens, celebrating each of their different religious beliefs. For this reason you can find elements of Hindu, Islamic and Christian architecture in Fatehpur Sikri. The huge complex has some beautiful gardens, that no doubt suffered when the lack of water forced Akbar to flee the town, but not before he built a tunnel underneath that is believed to go all the way to Agra Fort. 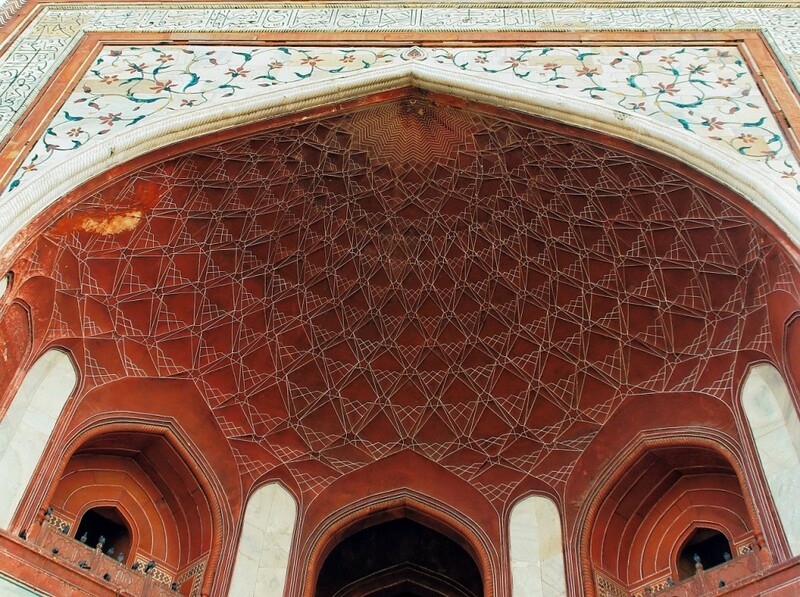 For some of the best views of the Taj Mahal, a visit to Agra Fort is a must. It was here that Aurangzeb imprisoned his father Shah Jahan, leaving him to stare longingly for hours at the beautiful mausoleum he created for his beloved wife. The fort itself is a good example of Mughal architecture with its last Diwan-i-am (Hall of Public Audiences) and the spectacular Sheesh Mahal (Mirror Palace) where hundreds of mirrors once glistened under the sun’s light. Emperor Akbar was so keen to preserve himself in a place of glory that he began work on his mausoleum himself, but it was his son Jehangir who completed the job in 1613. The result is spectacular. White marble tiles line the gate that leads into an impressive courtyard. The tomb itself is actually hidden in the basement but a false tomb is surrounded by beautifully carved screens, fitting for the great Emperor that lies below. Like it’s grander namesake the Itimad-ud-Daulah or Baby Taj is the final resting place of one of the important minister’s from Jehangir’s court. While he was not an emperor, his tomb is designed like a jewel box and holds some wonderful treasures inside. The intricacies and craftsmanship is exemplary, and the smaller size of the tomb makes it a good one to explore in detail. Every Indian town has crafts that are unique to them and Agra is no different. Of course, the town is most famous for its superb inlaid tiles, like that found on the Taj Mahal. You can pick up some fine specimens at the Kinari Bazaar, along with shoes, jewellery and fabric of almost every description. Even if you don’t really have anything on your shopping list, a walk through the bazaar is a good place to soak up the local atmosphere, far away from the tourist crowds.